💡 For information: Sweden, Norway, and Denmark are part of Scandinavia. What is the best season to discover Scandinavia? It is prolly better to go in summer. Indeed, days are much longer than in winter. But to be able to admire the northern lights, it is necessary to travel in winter. So it’s up to you to choose what kind of good time you want to spend in Scandinavia. 🇳🇴 Norway: Oslo, the capital and all its museums, Tromsø with its magnificent cathedral and northern lights. 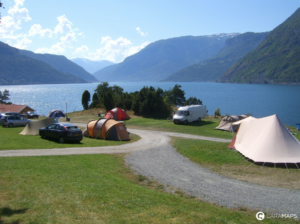 Remember to drive to Geiranger to admire the fjord and waterfalls if you have time. 🇸🇪 Sweden: Stockholm the capital and its ABBA-museum. If you want to ski, remember to drive to Kiruna, maybe you will see a Northern Lights too. For those interested in architecture, the city of Gotland will seduce you with its chapel and so on. 🇩🇰 Denmark: Copenhagen, with its palaces and sculpture of the little mermaid (for the ones who have kept their child soul)! Bornholm with its castle “Hammershus” and its museum. For shopping addicts, Frederikshavn is the ideal destination. You will also find an art museum and a church to visit. When you go, it is important to learn about the different practices in the country and to adapt to local codes. In Scandinavian countries rules are more or less the same, here are the most important ones: – Speed limits are generally the same throughout the region: 50 km/h in the city (sometimes 40 km/h as in the center of Copenhagen); 80 km/h on the national roads; 130 km/h on the highway unless another speed is indicated (110 km/h). The restrictions are respected, in bad weather the locals reduce their speed, the roads are not easy, often narrow and winding. – The distances between vehicles are met conscientiously. Be careful not to drive closer to vehicles in front of you. – It is mandatory to drive with day and night lights. Watch out for animals! Roads are lined with beautiful wild landscapes, animals are numerous, be very watchful and consider signs. In the Nordic countries, ecological travel is very important: bicycles, buses, as well as pedestrians. Everything is done to facilitate these way of transport and they take precedence over you at all intersections. We are waiting for your beautiful pics!